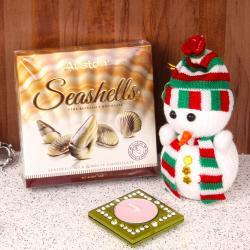 Product Consist : Spring Merlion Almond Dark Chocolate (Weight : 140 gms) along with Austin Mint Dark Chocolate (Weight 100 Gms) and Christmas Greeting Card. Gift this imported chocolate hamper to your dear ones and make them feel special on special auspicious of Christmas. This delightful hamper that is just what you need to bring smile on face of someone. 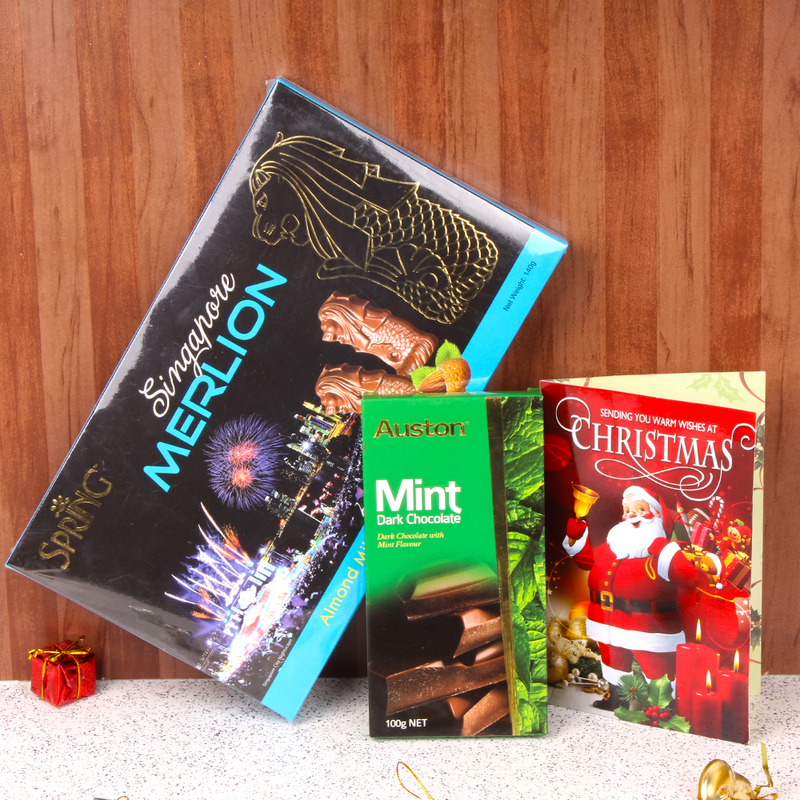 This hamper includes Spring Merlion Almond Dark Chocolate with Austin Mint Dark Chocolate. They come with heart touching message card in a fancy packing which makes this gift all the more appealing. You can present this tempting hamper to your loved ones door step and wish them Merry Christmas ! Product Consist : Spring Merlion Almond Dark Chocolate (Weight : 140 gms) along with Austin Mint Dark Chocolate (Weight 100 Gms) and Christmas Greeting Card.